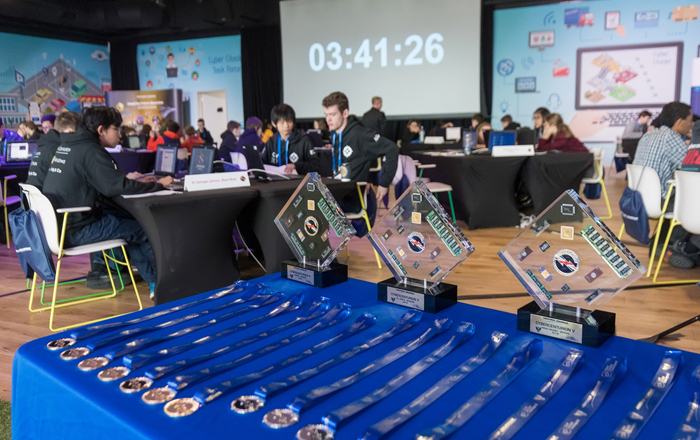 Home Cyber Security Northrop Grumman Sponsors 2019 CyberCenturion Competition In London. Northrop Grumman Sponsors 2019 CyberCenturion Competition In London. Northrop Grumman Corporation (NYSE: NOC) welcomes some of the UK’s brightest 12-18 year olds to compete in the fifth National Finals of CyberCenturion, a nationwide cyber defence competition led by Northrop Grumman, in partnership with Cyber Security Challenge UK, and with support from the U.S. Air Force Association. More than 470 teams from across the UK and Overseas Territories took part in a series of intense qualifying rounds over the last six months. The fifteen top performing teams will battle it out to win a trip to Washington, D.C. Held at Plexal, East London’s exciting tech and innovation hub, the teams will compete in a challenge that will test their cyber defence skills, as they protect their fictional Cyber Citadel against simulated cyberattacks. CyberCenturion engages thousands of talented young individuals who are curious about cyber security and eager to put any existing cyber skills to the test. It mirrors the U.S. CyberPatriot competition, part of a global youth STEM education programme presented by the Northrop Grumman Foundation and created by the U.S. Air Force Association, aimed at inspiring youth to pursue careers in cyber security or other STEM disciplines critical to global security. The finalists will be faced with a vast array of simulated security risks present in today’s increasingly digital and connected world, adopting the role of cyber security specialists for the Cyber Citadel task force, working with large retailers to secure their customer data assets and network infrastructure. They will also meet cyber professionals and learn about the educational pathways that lead to a broad range of career opportunities in the cutting-edge cyber security sector, which help defend the UK and global companies from cyberattacks. This year’s competition is split into four categories across two age groups to encourage greater diversity and in recognition of the critical need for a wide range of perspectives, academic backgrounds, experiences and problem-solving abilities in the cyber security industry. Girls, boys, mixed and cadets of 12-14 years and 15-18 years will compete, and the top scoring team in the higher age group category will win an all-expenses paid trip to the U.S.
Cyber Security Challenge UK is supported in part by the National Cyber Security Programme – the Government’s £1.9 billion investment to significantly transform the UK’s cyber security. The 2016-2021 National Cyber Security Strategy sets out how the UK Government will deliver a UK that is secure and resilient to cyber threats; prosperous and confident in the digital world. The Northrop Grumman Foundation and Northrop Grumman are dedicated to increasing science, technology, engineering and mathematics (STEM) education opportunities for students so they can fill future workforce needs for talented and diverse professionals. In 2018 the Northrop Grumman Foundation and Northrop Grumman contributed nearly $20 million to diverse STEM-focused organizations and programs. Our partnerships focus on engineering and technology-based initiatives that excite, engage and educate students, with an emphasis on middle school and university level programs. Defending cyber networks, engineering autonomous vehicles and exploring space are just a few examples of the skills students develop as they experience the excitement of STEM through programs supported by the Northrop Grumman Foundation and Northrop Grumman. Programs such as the Northrop Grumman Foundation Teachers Academy provide professional development opportunities for STEM teachers, who ultimately can inspire and educate the future talent base. 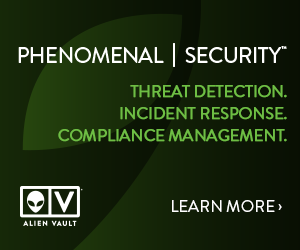 Northrop Grumman is a recognised leader in cyber resilience solutions with more than thirty years’ experience in cyber security and information assurance. The company is a member of CyberFirst and CyberInvest, and leads CyberCenturion, the cyber defence competition for 12-18 year olds. For more about Northrop Grumman in cyber, go to www.northropgrumman.com/cyber. For information about careers in cyber in the UK, go to http://www.northropgrumman.com/careers. Zscaler Releases Semi-Annual Cloud Security Insights Report.